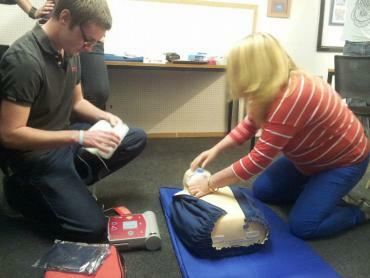 Emergency First Response (EFR) teaches participants how to respond to life-threatening emergencies. The course focuses on primary care through a combination of knowledge development, skill development and realistic scenario practice to make sure participants have the confidence in their ability to provide care when emergency situations arise. The course could take place over one day or two evenings - we can be flexible to your schedule, and would require you to read through your manual and fill out some knowledge reviews in advance. We can send you a copy of the manual, or you could pick one up from us in the shop and meet the team. 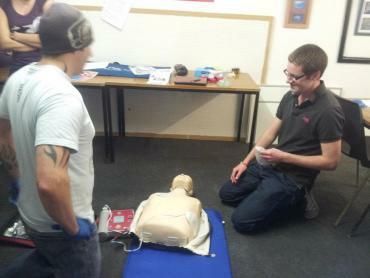 The PADI Emergency O2 Provider Specialty Course does not require any previous CPR or first aid training, but can be incorporated into the EFR course as well. 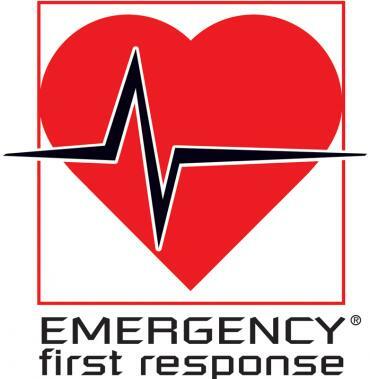 You will recieve a manual and a 'Care-at-a-glance' card for quick reference to review in case of an emergency. 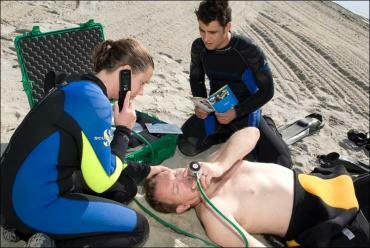 Although the course uses dive situations for most examples, it is a stand alone course for the emergency oxygen administration and so is open to and applicable for non divers aswell. Course Prices are available here.